Join us for our Spring Open Day on 27th April. 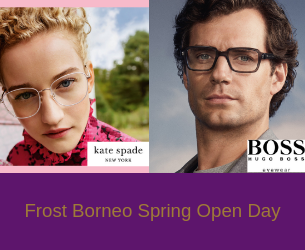 We’ll have the full Kate Spade and Hugo Boss eyewear ranges available on this day, including sunglasses! You can also take advantage of free standard single vision lenses with each frame you purchase AND a consultation with a professional stylist! We’d love to see you. Our chosen charity this year is Daisy’s Dream. A wonderful charity that helps support bereaved children and teenagers. 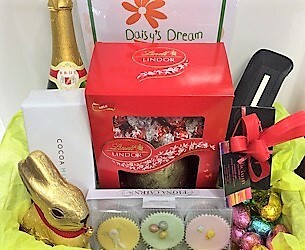 Until Easter we are running a raffle – £5 a ticket and all proceeds go to Daisy’s Dream. The winning hamper includes 2 pairs of sunglasses, champagne and hand-made chocolate plus more! Pop in to donate. Good luck! 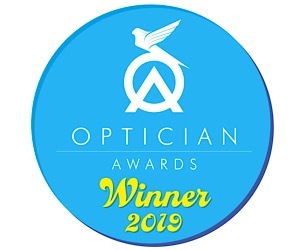 We are thrilled to announce that after a wonderful evening celebrating the Optician Awards at the Birmingham Metropole hotel on Saturday 30th March that we have been voted as the Independent Practice of the Year 2019! 100 entrants in this category were reduced to a short list of 7 with Frost Borneo winning it. We couldn’t be more pleased! 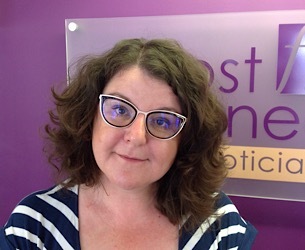 We are very proud of our Dispensing Optician Ruth Shelton on her recent appointment as a member of the ABDO (Associated Board of Dispensing Opticians) National Clinical Committee (NCC). The committee is the driving force behind the association’s clinical policy and direction. Well done Ruth! 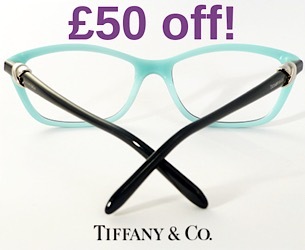 We are delighted to announce we currently have £50 off all Tiffany frames! Tiffany Eyewear offers an elegant outlook on style with impeccable craftsmanship and unexpected details. Many of the exclusive frame designs are inspired by the iconic jewellery collection. Ask us for more details! 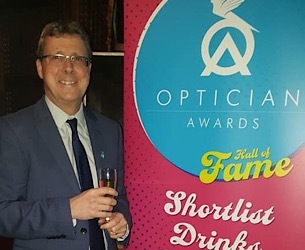 We’re counting down until the Opticians Awards evening on Saturday 30th March! Last night Neil and Catalina went to a finalists party at The Jewel Bar in Piccadilly Circus. They said it was great to mingle with the other finalists. Watch this space to find out how we get on at the big event!